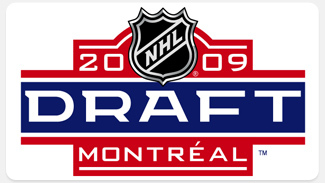 The NHL Entry Draft begins on June 26 with coverage starting at 7pm on Versus in the States and TSN in Canada. All of the hype surrounding the draft focuses on who will pick whom and when and why one team should pick this guy over another guy or should simply trade up or down who needs what and why—phew that’s exhausting. But when Sunday comes around and the draft is fully in the books it matters less who picks what player and why and so on but it’s how those teams handle the players they pick. Every player has a different amount of potential within them but the key for any team is to maximize that potential no matter what round a player was drafted in nor what position that person plays. Usually these men are young and are receiving an enormous amount of advice from a variety of different sources both good and bad. There is so much to distract someone to affect their on the ice development as well as their progression as young men. Generally speaking all the talent in the world can come crashing down because of things not directly related to the X’s and O’s of hockey. The whole process is a very delicate one and the teams have a responsibility to know the limitations of a particular player and know what that person can handle and when they can handle it. These reasons are partly why you see number one draft picks flop and fifth rounders turn into stellar performers. So this weekend as you watch your team pick an assortment of players think less about how much talent one guy has versus the next and instead think about whether your team can maximize the potential of the players they draft and always bear in mind that a mix of talent and chemistry that wins championships not a team saturated with superstars at every position.